With a mean, take-no-prisoners look, the 2018 Dodge Challenger is all business when standing still, but fire up the engine, and heaven help anything standing in its way. 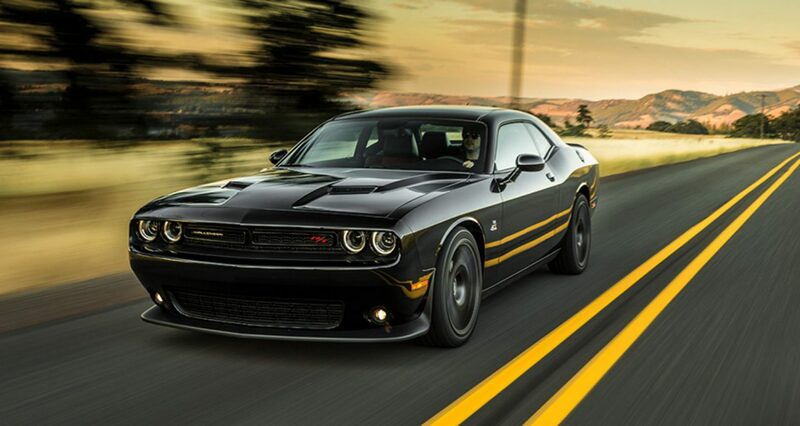 Whether it’s within the city limits or beyond, the Challenger never backs down from what lies ahead. It’s no longer about making an impression; it’s about marking your turf in the streets, like a boss. The 2018 Dodge Challenger for sale in Bossier City, LA lets you do just that, all with a trip to Landers Dodge Chrysler Jeep RAM. A short drive away for customers living in Minden and Shreveport, we’ve got a large 2018 Dodge Challenger inventory where you can select your street weapon of choice, in various accessories and options. 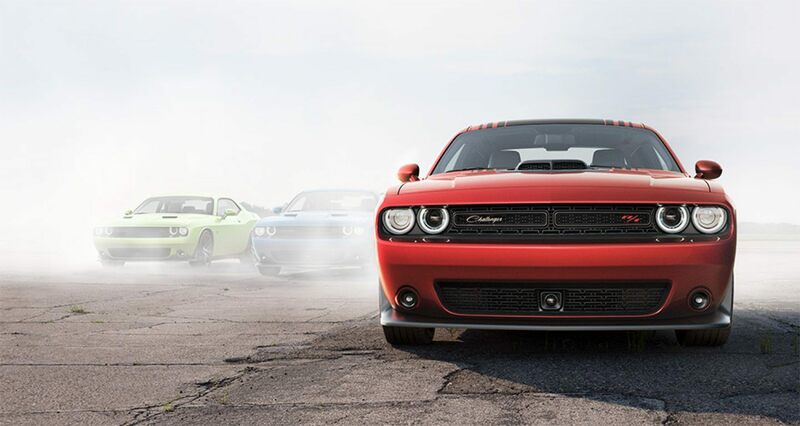 Test drive a 2018 Challenger today and get the best deals, only at Landers Dodge Chrysler Jeep RAM. One look at the 2018 Dodge Challenger is enough to get your heart racing, and everyone else shaking. The design is pure American muscle; straightforward, iconic, and true to its proud heritage. Make no mistake, this is the look of a fighter, from the menacing projector headlights with quad halo LEDs piercing the darkness, to the gaping hood scope that threatens to swallow every obstacle in the way. The haunches especially communicate raw power that only few can imagine, while full-width rear LED split taillamps fiercely light up to proclaim the Challenger’s stopping power. The look of performance extends all the way inside the roomy cabin with a race-ready control layout, complemented by a choice of 16 premium materials for looks ranging from retro to contemporary. Customize the large 7-inch driver information display to show your preferred vehicle stats, flanked by classic-style tachometer and speedometer dials. With the 2018 Challenger, power meets practicality, thanks to its 16.2 cu. ft. trunk, the better to bring whatever you need. The 8.4-in. 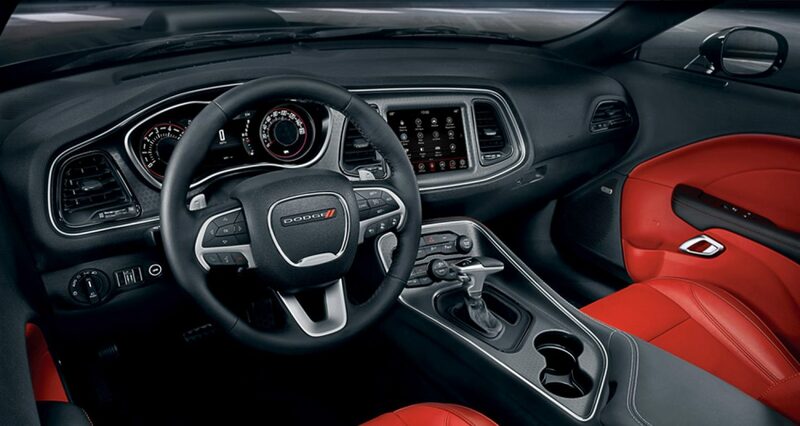 touchscreen handles communication, multimedia, and navigation duties, offering Uconnect® 4C Navigation with 3D graphics, Sirius® XM Traffic Plus, Bluetooth handsfree, Apple CarPlay® and Android Auto® as standard. Dominating the road has never looked and felt this good with the 2018 Dodge Challenger. The 2018 Dodge Challenger comes in four engine options: a 3.6L Pentastar® engine with 305 horsepower and 268 lb.-ft. of torque; a 5.7L HEMI® V8 with 375 horsepower and 410 lb.-ft. of torque; a 392 HEMI® V8 with 485 horsepower and 475 l lb.-ft. of torque; and the motherlode, a supercharged 6.4L HEMI® Hellcat capable of 707 horsepower and 650 lb.-ft. of torque. Choose between a six-speed TREMEC® manual transmission or a Torqueflite® eight-speed automatic to get all that power down on the pavement and smoke the rest behind. But a real boss knows that power is nothing without control, with selectable all-wheel drive and electronic stability control giving the Challenger a firm grip over everything else on the road. Blind Spot Monitoring System and Parkview® Rear Back Up Camera lets you see better, whether you’re cruising along or easing into a parking space. The Challenger’s high-strength steel frame make it tough enough to withstand impacts, while advanced stage airbags throughout the cabin have you covered in terms of safety. In the battle for the streets, arm yourself with confidence that rules the road. Check out the 2018 Dodge Challenger at Landers Dodge Chrysler Jeep RAM today.